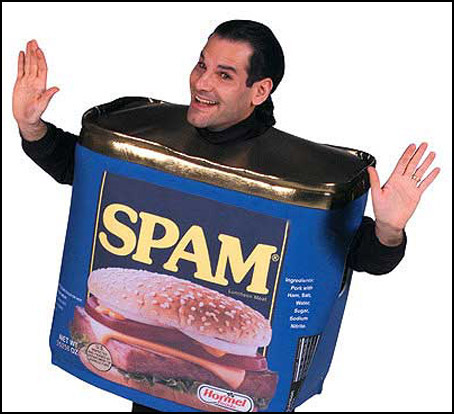 As an English major who is simultaneously trudging towards a degree in a business field, I am afraid to say that human spam is not only a sad component of my daily life, but something I look at with such melancholic indifference that may only be earned by witnessing it in the most frequent and extreme measures. No one likes the "over-sharer." Austin Kleon's chapter titled "Don't Turn into Human Spam" addresses this problem entirely too well. The human spammer is known for posting their work a lot... too much, in fact. These people don't just "share their work," they are their work. One example I've come across recently is not entirely applicable to the topic of writing, but it sure is a great example of over-sharing. I've come across entirely too many pictures of people I know on social media posting about their weight loss achievements... With pictures. In America, children born in the 90s are most commonly known as Millenials. In China, children of the same decade are called “post-90s”. In the eyes of many, neither are held in particularly favorable regard as a whole, with some people pointing to their obsessive use of the Internet and other technology as time wasting and unproductive for whom they view as a generally lazier group. Delving into objective views aren’t the point of this blog, but instead a focus into how writing through different modern mediums is able to spur positive change in the life and well being of people—including betterments brought upon by motivated people in our generation. Clive Thompson’s musings on ambient awareness reminded me of a point a professor of mine made concerning the cyborg manifesto. She claimed that we, today in modern times, have already become cyborgs. We carry around mini computers that link us to impossible amounts of information, not just about the world around us but to other living breathing human beings and their thoughts. Our awareness of the world has grown exponentially and turned us into creatures that have typically been considered as monstrous. Read more about THE FUTURE IS NOW! Publishing a book seems to be a complicated process through the traditional routes and much more so when it comes to self-publishing. Once fully understood though, it is probably very simple. It’s the jargon and technicalities that can be deterring. It is this exploration of the technical that makes chapter 13 of APE the “hairiest chapter in the book”. Self-publishing sounds like one of those sink or swim situations where they throw you in the water and you have to learn as you go along, which is a very effective teaching strategy for those who don’t end up drowning.